For most regular punters, betting offers are a deciding factor when it comes to choosing which online bookmakers to sign up with – and which are worth staying with. Almost all the large UK sportsbooks provide a range of bonuses, money back specials, and promotions, for both new and existing clients. These can help you to build up a healthy account balance, but also provide the odd windfall, so you can afford to try out new markets. T&C APPLY 18+: New UK & NI customers only. 18+. Sign up using promo code ‘SPORTS60’. Deposit & place first sports bet at a minimum of £10 in one bet transaction at evens (2.0) +. £30 paid in free bets within 48 hours of bet settlement, expires 7-days after issue. E-Wallet & Prepaid Card restrictions apply. Your first bet must be settled within 60 days of bet placement. SMS validation may be required. Game restrictions apply. T&C APPLY 18+: Bonus amount must be wagered 10x at a minimum odds of 1.50. System Bets do not count towards wagering. Wagering requirements must be met within 30 days for bonus money to become real money. The minimum Deposit for the Sport Welcome Bonus is €10. There are so many betting offers online that it can be a challenge to keep up with everything available, that’s why we’ve created the chart below to help you keep track of the most generous, or most interesting deals around right now. Here we look at the various kinds of promotion that bookmakers regularly advertise. If you see the same promotion mentioned on a few different sites, always scan through the terms and conditions to find out which would be more suited your betting habits. 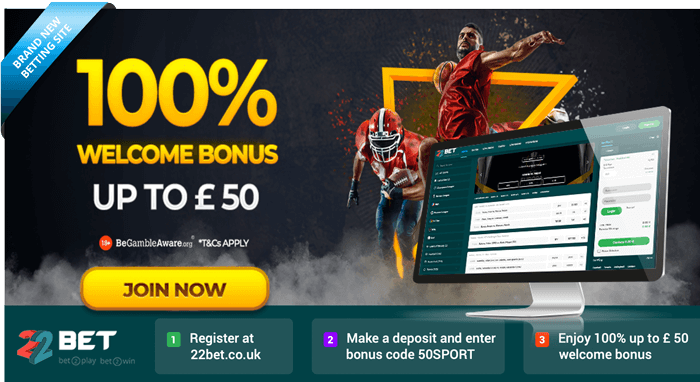 These are by far the most common form of bonus to be found online, almost all bookmakers offer free bets to their customers and it’s fair to say they are now expected as part of a welcome package. Many offer good value because bookmakers know that savvy punters will be comparing free bets between sites. This can also lead to more creative free bets and a wider range of markets available as part of the deal. In a trend which is becoming more and more popular with players, bookmakers are substituting their more traditional free bet offers, with deposit bonuses. Terms and conditions vary, but you could see your initial deposit matched by a site to the value of £200. These are generally focussed on large annual competitions or tournaments, and are another popular choice with players. To take part you place a bet just as you would usually, but if a pre-specified event occurs the bookmaker will return whatever you paid to place the losing bet. Money back offers could be triggered if your team goes two goals up at any time, or if your horse finishes second to the favourite, or if your winning scorer gets another goal. Sometimes the refund will be made as cash and put back into your account, but you may also be reimbursed with free bets. We use our mobile phones to manage every aspect of our lives, so it’s no surprise that bookmakers have built great apps and mobile sites for players on the go. To increase their reach in the mobile market, they also have betting offers aimed solely at people who bet via their smartphone. As well as first use bonuses for mobile customers, there are long running offers which can only be accessed through mobile, so it’s certainly worth downloading the app of your favourite bookie. From free to enter competitions, to the odd free bet on tournaments or well-known events, bookmakers like to keep their customers interested with a range of loyalty boosting deals. Some even have a points system which works in a similar way to supermarket club cards. Often known as frequent player points, they are awarded for every bet you make on the site and some bookmakers will also include flutters at their casino as well. When you’ve built up your account to a certain level, you can exchange points for free bets, VIP perks and exclusive offers. A promotion that’s loved by punters and is fast becoming a regular fixture on many betting sites, the accumulator insurance functions as its name would suggest. Players get their money returned if only one part of their accumulator bet is unsuccessful. However, there is very little uniformity between bookmakers in terms of how many selections you have to place and the applicable markets. Also known as accumulator bonuses, these promotions come in the form of increased pay outs on winning bets. The extra money could total anywhere from 5% to 100% on top of a normal pay out, but the actual amount may take into account how many selections were in your accumulator. A very user-friendly deal that can have a big impact on a pay out, best odds guaranteed is generally limited to greyhound racing and horse racing. Players can use this deal to get the best possible odds from those they initially took, and the actual starting price. So, if things change between you placing a stake and the race starting, you’ll always be paid out at a higher price if you’re a winner. Again, the details of this offer vary considerably between sites, so review the terms before diving in. Of all the different betting offers online, price promise is considered by many to be one of the most generous around. In essence it is a form of enhanced odds betting, but it is potentially better value than price boosts, price matching, and guaranteed odds. Price promises apply to all the odds in a specific event, guaranteeing that those prices will not just match those of their rival bookmakers, but (occasionally) beat them. It’s an expensive offer for bookies to run, but saves you time and effort as a client, because there’s no need to shop around for the best odds. If all these different types of betting offer seem confusing, here’s a guide to help clarify the two main deals a bookmaker will present you with. Also known as welcome bonuses, these are only offered to people who have never had an account with the bookie before. They are usually provided as a free bet, a deposit bonus, or a matched bet, giving new customers the chance to use the site with some free cash in their pocket. Most bookmakers use these deals to get people signed up and encourage them to engage with the action for the first time. These deals will reimburse you if your wager is ultimately unsuccessful, but only in specific circumstances. You may get the value of your stake back if your team score at least one goal, or if your horse loses by a few metres, for example. When regular clients top up their account, the bookmaker may also chip in to increase the funds they have to play with. This is usually worked out as a percentage of the deposit made. Used as a method of cross-selling products that a client does not usually use, like casinos or mobile betting, product incentives give people the chance to try out something new with bonus deals. Here, any winning bets are paid at higher odds than usual. In some cases, you’ll be paid out at two or three times the odds, but only if something specific happens. As an example, specific events could include a goal scored as you predicted, then the same player going on to score again during the match. These offers are designed to look like free money, but remember that the bookmaker has a business to run so their key purpose is to keep you occupied on the site. Even if promotional cash shows up as a credit balance on your account, it will not be available to withdraw until you have fulfilled the requirements it came with. These mostly relate to playing out a certain number of bets, or spending a specified amount of your own cash. For example, if you accept a deal in the form of a deposit bonus, this amount will usually have to be played three times over before you can withdraw any winnings into your bank account. Take a look at the terms and conditions of any offer prior to accepting it, and don’t assume that two similar deals will have the same rules. Here are a few of the most commonly asked questions about betting offers online, along with answers that can help you make an informed choice about which bonuses to go for. Q: How can I spot the genuinely good offers? A: There’s not really a definitive answer to this one, instead, the right deal for you will be one that works well with the way you bet, and what you bet on. If you like to choose your stakes independently, then a deposit bonus will provide you with that freedom. For people who like the immediacy of placing a quick wager, then free bets give you a zero-risk opportunity to splash out. Q: Is it possible to get a second welcome bonus? A: No, once you’ve used the bonus offer it will not be available again. Bookmakers carefully monitor the freebies they give out, limiting them to one per client. As they take into account your address, telephone number and financial details, you cannot open another account for your partner either. The one welcome bonus per person rule shouldn’t be seen as restrictive, there are a vast range of betting offers online and you can open an account with as many bookmakers as you like. Q: Is my welcome bonus good for every sport? A: Bonuses can usually be used throughout a bookmaking site, but if you’ve got a particular market in mind, always check the terms and conditions before signing up to avoid disappointment. Q: Am I old enough to qualify for a betting offer? A: Assuming you are 18 and old enough to register for an account with an online bookmaker, you will also be eligible for their promotions. In the UK, the laws around betting are stricter when it comes to sports, as you can play the national lottery from 16 years of age. Q: Can I claim a betting offer whilst living abroad? A: Unfortunately, even if you are a UK citizen, you cannot claim an offer while residing abroad. These deals are targeted at people who are resident in Great Britain and Ireland, regardless of their nationality. So, until you choose to return home, you won’t be able to claim a promotion.